The Mayor and Council of Chestertown proposes to increase real property taxes. For the tax year beginning July 1, 2018, the estimated real property assessable base will decrease by $0.099% from $562,768,097 to $557,215,401. 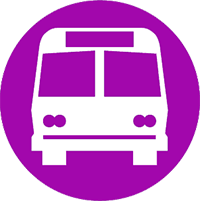 If the Town of Chestertown maintains the current tax rate of $0.3700 per $100 of assessment, real property tax revenues will decrease by 2.74% resulting in a $20,544.98 reduction in real property tax revenues. In order to fully offset the effect of decreasing assessments, the real property tax rate should be increased to $.3737, the constant yield tax rate. The Town of Chestertown is considering increasing its real property tax rate enough to fully offset decreasing assessments. 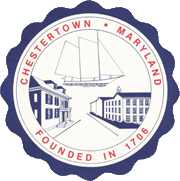 The Town of Chestertown proposes to adopt a real property tax rate of $0.42 per $100 of assessment. The tax rate is 0.1239% higher than the constant yield tax rate and will generate $257,990.73 in additional property tax revenues. A public hearing on the proposed real property tax rate increase will be held at 7:00 p.m. on June 4, 2018 at Town Hall, 118 N. Cross Street. The hearing is open to the public, and public testimony is encouraged. Persons with questions regarding this hearing may call 410-778-0500 for further information.